I love a good haunted house tale. They’re my favorite type of story. Add that to the fact I’ve also been a collector of Marvel Comics for over 25 years, and you’d think the two would have mixed numerous times. 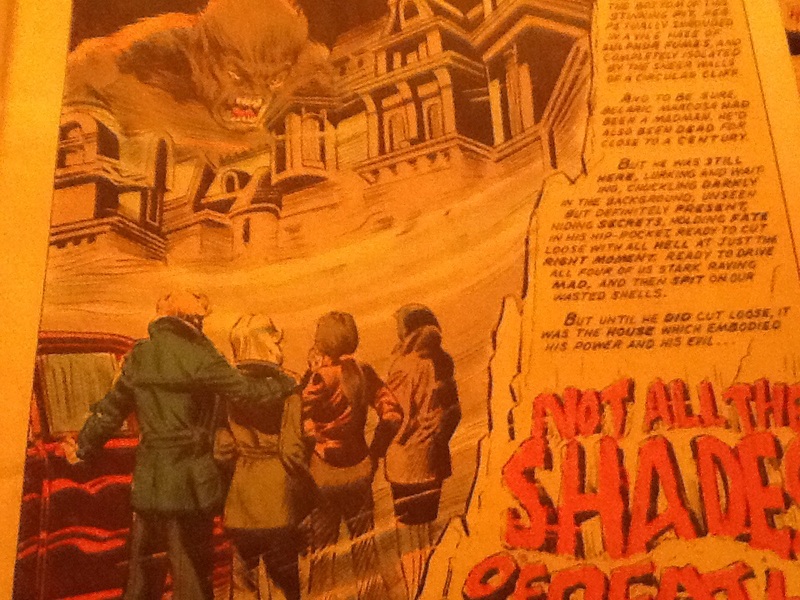 Alas, this has not been the case, so I set out to make a list of haunted (or supposedly haunted) houses which have appeared in Marvel Comics (plus a bonus from DC). I’ve put them in order from the ones I found the most to the least spooky. Hope you enjoy the tour! 1. 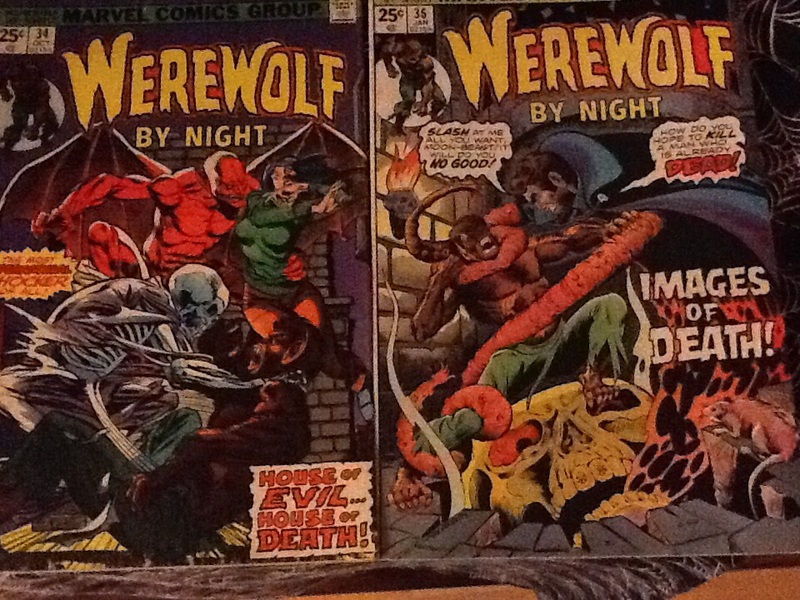 Marcosa Mansion – Werewolf By Night#’s 34-37: This is the granddaddy of haunted houses in the Marvel Universe. It stands at the bottom of a fog-enshrouded, bowl-shape depression in the Earth. Surrounded by steep walls and quick sand, the house proved to be haunted by the ghost of Belarac Marcosa who could control virtually everything inside the mansion. He’d entrapped a horde of spirits which he tortured endlessly. 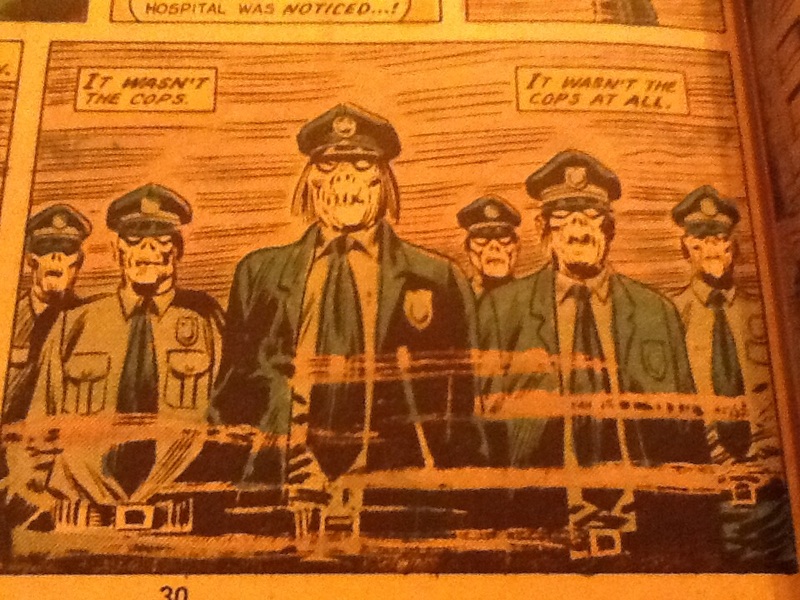 In the four issue arc of Werewolf By Night, Marccosa was able to create realistic illusions, possess multiple people at once (demonstrated by the creepy, leering smiles they display during those instances), transform himself into a multi-tentacled monstrosity, cause zombie police officers to surround the house, and force Jack into his werewolf form despite there not being a full moon out (as well as allowing him to keep his mental facilities while in that form). The story features headless skeletons in the walls, nightmares involving flying gargoyles, murderous skeletons, and automatic writing just to name a few. 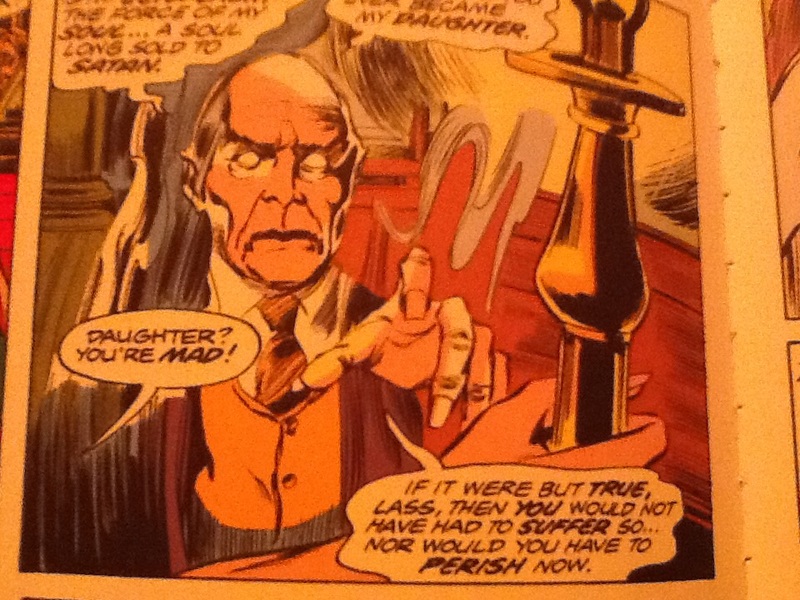 The fact that it t borrows heavily from The Legend of Hell House doesn’t detract from my enjoyment of the story one bit. Spook Factor: 10 out of 10 Bloody Ghosts. 2. 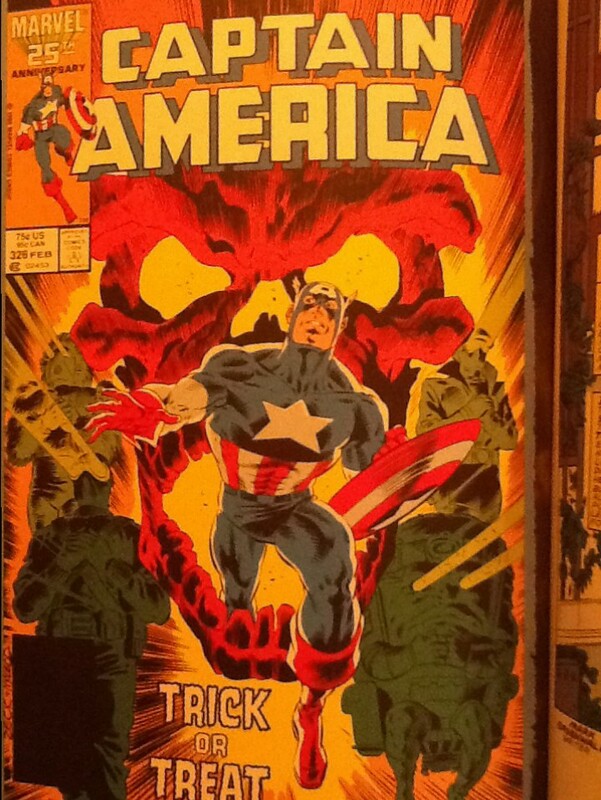 Skull House – Captain America #326: Mark Gruenwald’s extensive run on Captain America produced some of my absolute favorite stories. 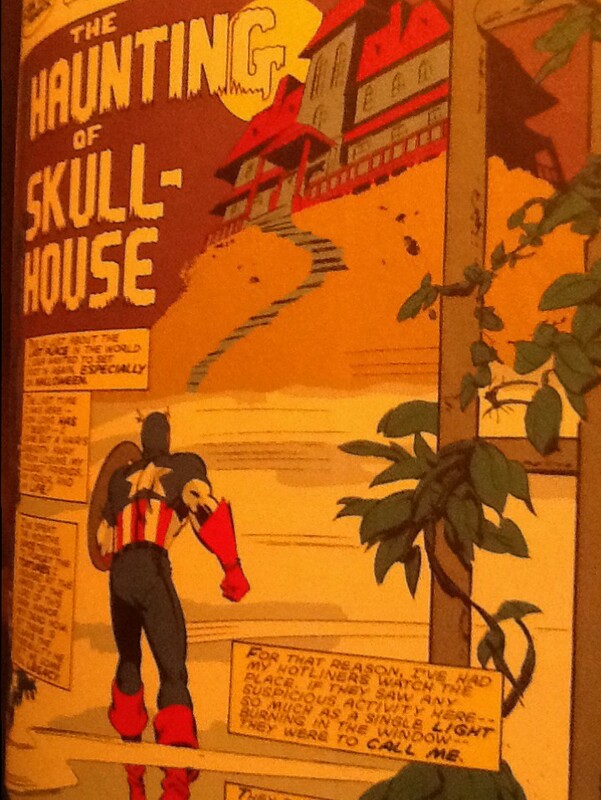 One such tale returned the Captain to the house where Captain America fought an aged Red Skull which ended in the Skull’s death. When people notice activity in the abandoned place again, Cap goes to investigate. 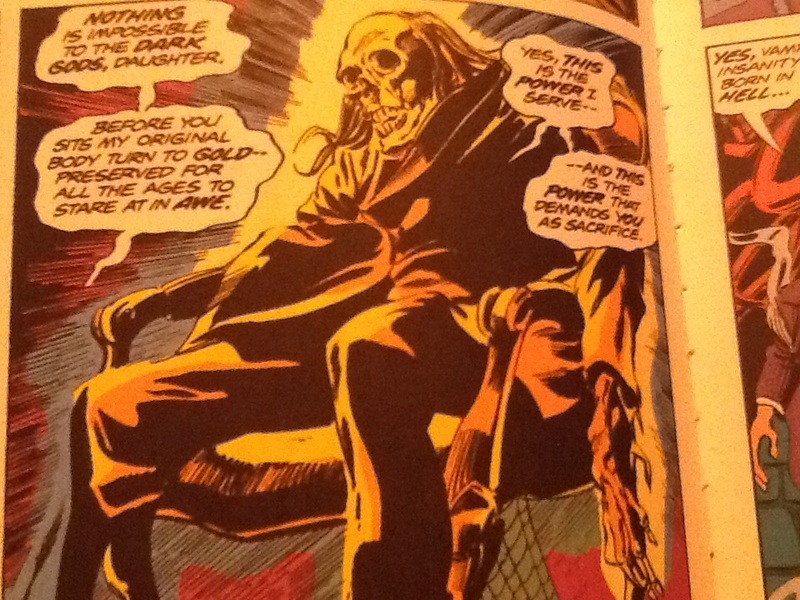 There he encounters Red Skull’s ghost which taunts him with regrets from his past and tries to convince Captain America to kill himself. Cap must then fight three villains who recently died in his arms but now seem unstoppable. The end of the story reveals trickery behind the haunting but hints at the possibility the Skull’s ghost actually does haunt the house. The Skull has since returned from the grave which would seem to indicate that if the house was haunted in the past, it likely isn’t now. Spook Factor: 8 out of 10 Bloody Ghosts. 3. 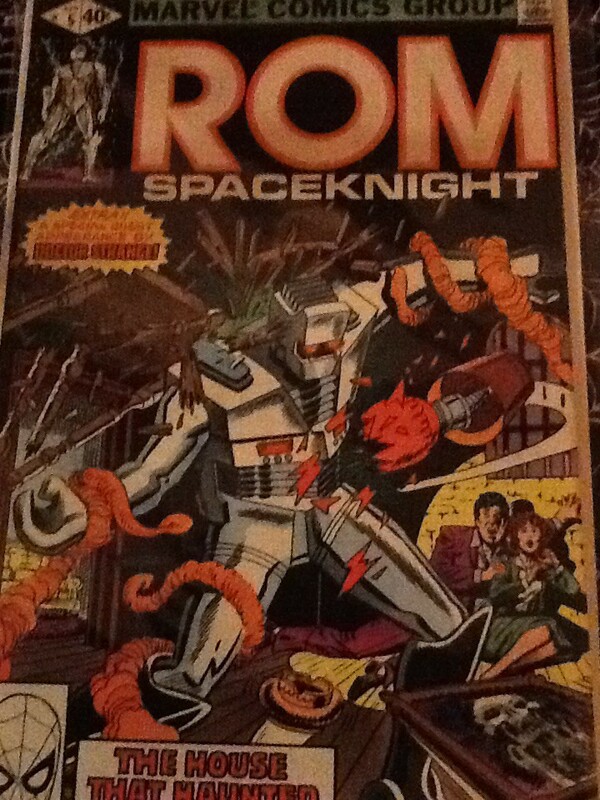 House of Shadows – Strange Tales #120/ Rom Spaceknight #5/ Dr. Strange Sorcerer Supreme Annual #2: This house is actually an entity from a dimension known as The Shadow Realm which borders Limbo. It can shape shift itself to masquerade as a haunted cottage, then a haunted house and lastly the upper level of a condo building. It can manipulate everything non-living inside its walls. It has fought against Dr. 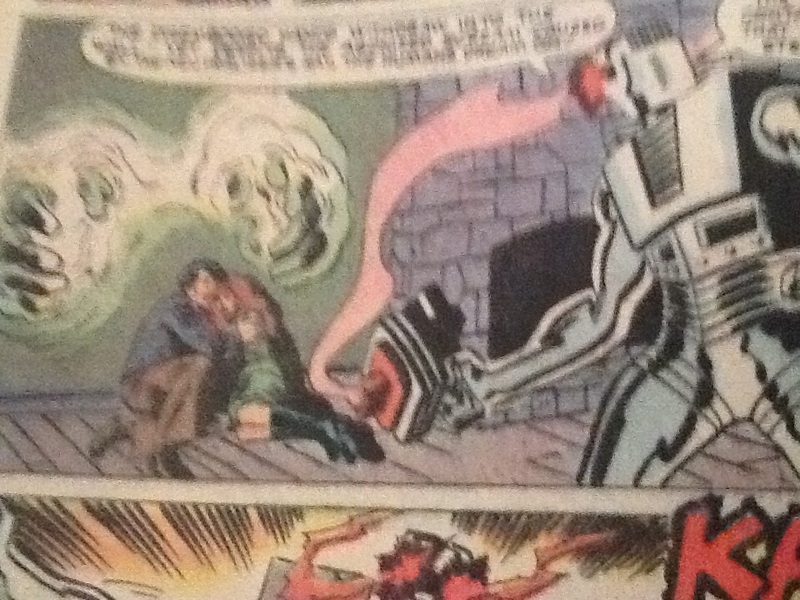 Strange, Rom the Spaceknight and Strange’s protege, Rintrah. Spook Factor (based primarily off Rom #5 App. ): 7 out of 10 Bloody Ghosts. 4. 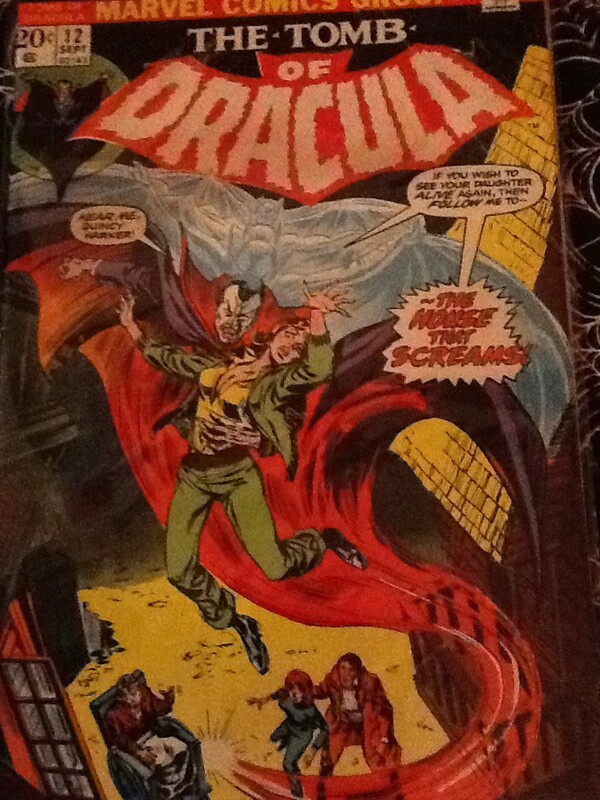 Castle Dunwick – Tomb of Dracula #23: In the moments before his death, Alestar Duncan sold his soul to satan in order to remain the master of his house. This allowed him to become a powerful telekinetic (which he uses to push people down stairs) and gain the ability to appear in ectoplasmic form. In death he remains as he was in life, a vindictive, lecherous man who must sacrifice others to his dark gods in order to continue his existence. Spook Factor: 7 out of 10 Bloody Ghosts. 5. 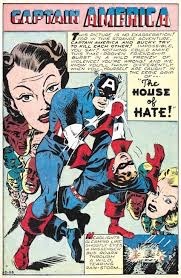 House of Hate – Captain America #58: I’m just going off an online synopsis for this one as I’ve never seen the actual issue, but it seems to be one of the few legitimately haunted houses in the Marvel Universe. The 50’s era Captain America and Bucky are stranded in an abandoned house, along with some other passengers, when the bus they were all riding in gets stranded. The house causes anyone inside to be filled with murderous hate. Its evil influence has been around since the time of its construction. Spook Factor: 6 out of 10 Bloody Ghosts. 6. 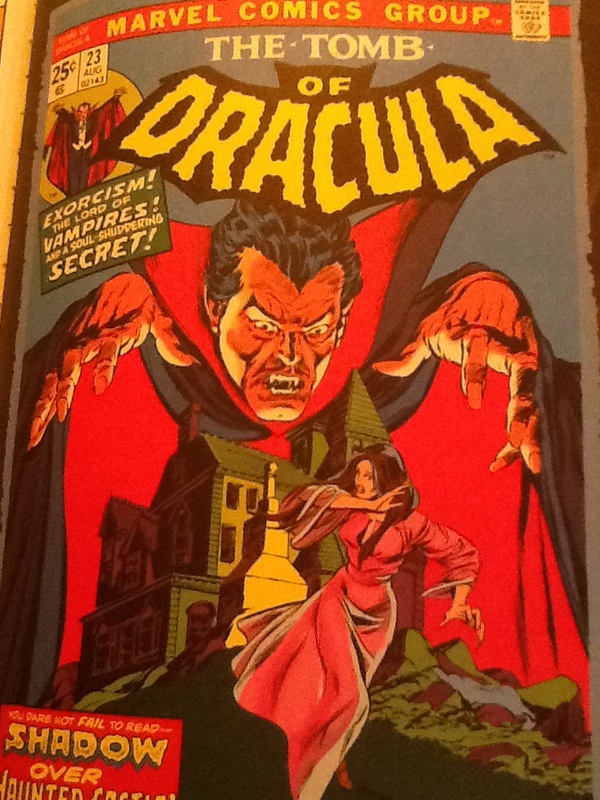 Whispering Hell – Tomb of Dracula #12: With an awesome name like Whispering Hell, I was expecting a great haunted house story. Unfortunately, although the story was good, we never learn why it’s “the house men call Whispering Hell.” It’s spooky looking, and its floorboards are rotting, but all the threats that assail the four vampire hunters who enter it (swarm of vampire bats and deadly spiders) are sent by Dracula himself. Spook Factor: 4 out of 10 Bloody Ghosts. 7. 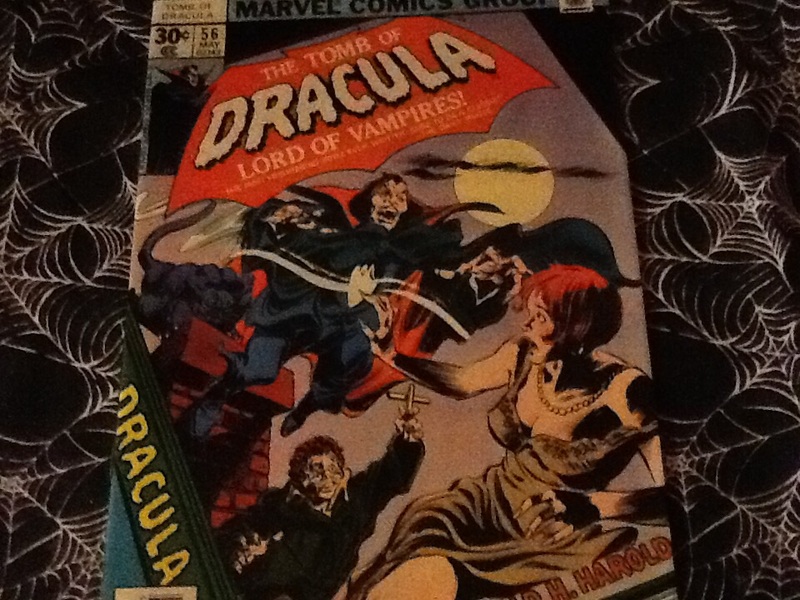 Hellion House – Tomb of Dracula #56: This one’s stretching things a bit as it’s supposed to be a novel written by a horror writer named Harold H. Harold. The novel contains an animated suit of armor, Dracula, and Satan himself in the guise of a giant black panther. Spook Factor: 2 out of 10 Bloody Ghosts. 8. 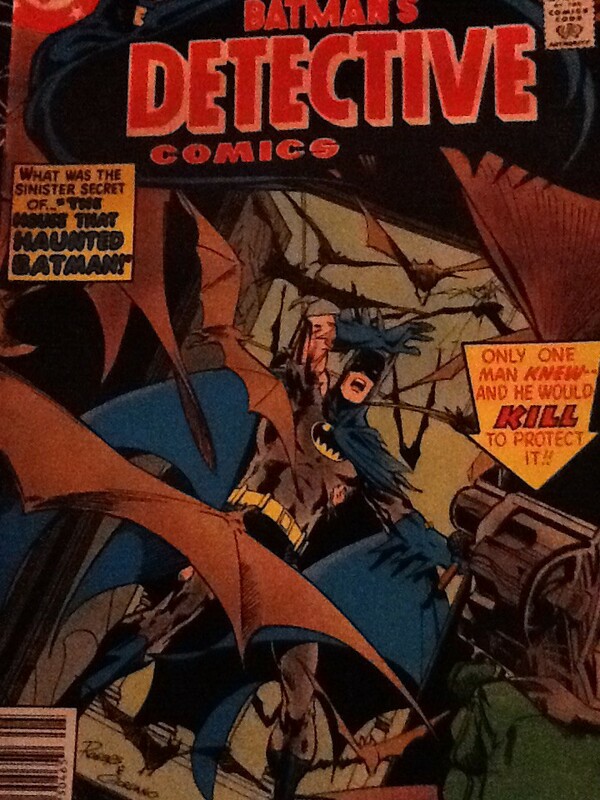 Batman’s Detective Comics #477: I’m not very familiar with many DC Comics, but I did find an issue where Batman entered a “haunted house” while searching for Robin who had disappeared from his college. 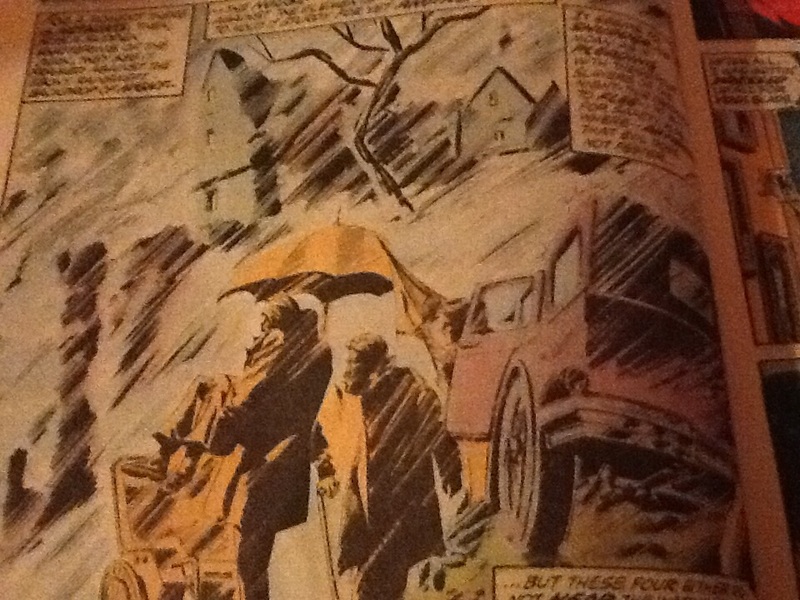 This leads Batman into a creepy old mansion that didn’t exist the previous day. Inside he finds Robin who falls into Batman’s arms and begins to age rapidly, eventually crumbing to dust. Batman also witnesses his own funeral and gets trapped in utter darkness. Ultimately, it’s revealed to be an illusion cast by a super-villain, but the story still had enough creepiness to be worth a look. Spook Factor: 5 out of 10 Bloody Ghosts. 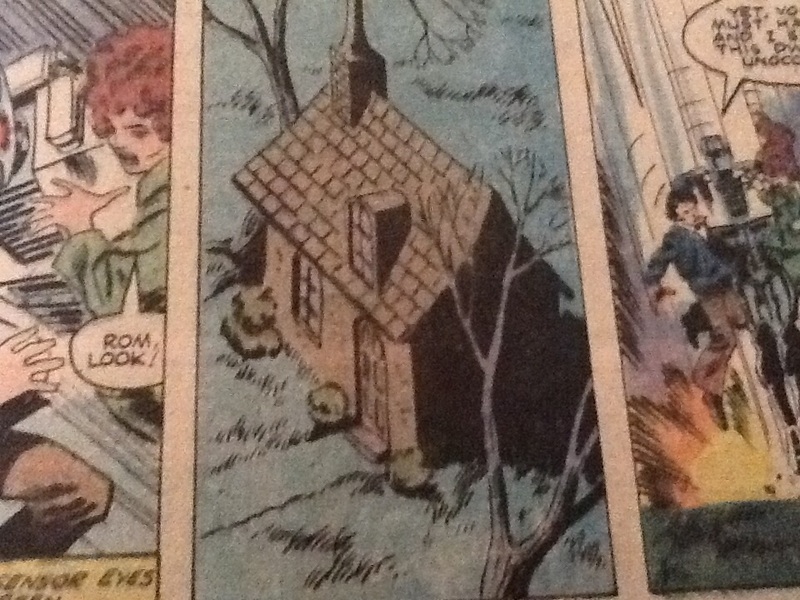 Conclusion; I found it difficult to track down tales that forced super heroes to take on a truly haunted house. Most ended up either being Scooby-Doo-style faked hauntings, aliens impersonating a haunted house, or something similar. If there are ones I missed, please let me know. I’d love to track down more and perhaps do a follow up list in the future. The Tomb of Dracula, though I haven’t seen it in years was great. I have it somewhere. I remember one thing I thought was shocking when I read it as a kid was how the guy admitted that he came back as another person seduced his own sister who’d murdered him and drove her crazy to the point she committed suicide. 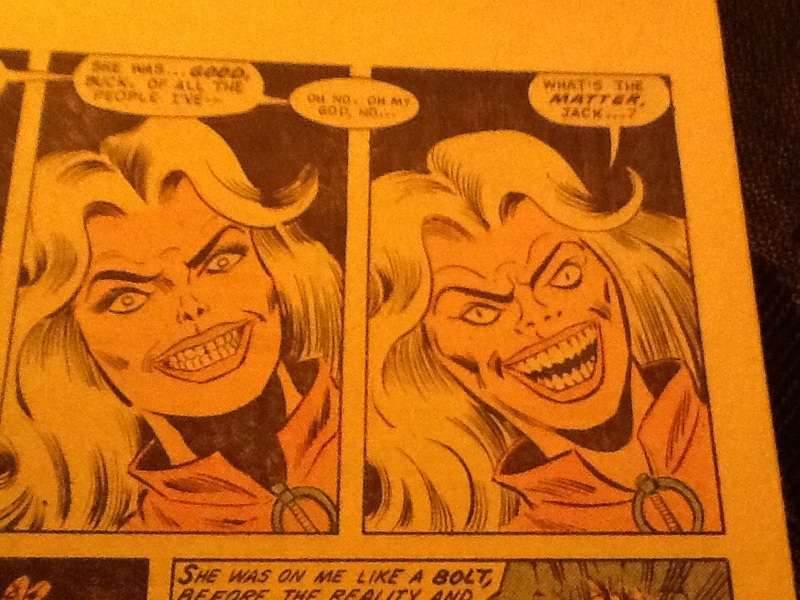 This I thought was a bold thing to put into a comic book, or much of anything. It was a very creepy tale. The eerie artwork added a lot of atmosperic to it as well.